The national representation consists of three senators (José Mayans and María González for the Victory Front and Radical Luis Naidenoff) and five deputies (Luis Basterra, Ramiro Fernández Patri and Inés Beatriz ‘Betty’Lotto for the Victory Front against the Radicals Mario Arce and Martín Hernández). 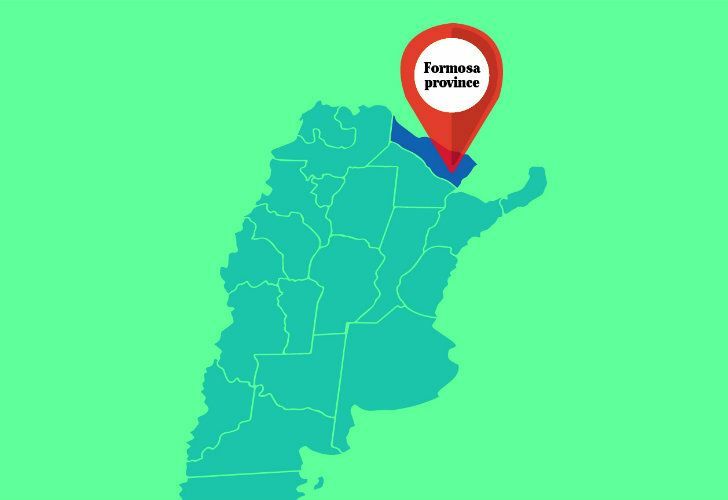 F ormosa is the last of the five provinces in this series (based on ascending order of electorate magnitude) which have always been Peronist since 1983. A majority of the 10 smallest electorates with the minimal representation of five Lower House seats have thus only known singleparty rule in the last generation – when throwing in Neuquén (which extended this trend earlier this month) – while all other provinces have experienced some variety. Among these half-dozen monochrome provinces Formosa really takes the biscuit because there is hardly more personal rotation than partisan. San Luis might look unbeatable with only four governors since 1983 (with the two Rodríguez Saá brothers accounting for 30 of those 36 years) but Formosa has only had three – Floro Bogado (1983-1987), Vicente Joga (1987-1995) and the current incumbent Gildo Insfrán, 68, now winding up his sixth term with no end in sight. Along with Antenor Argentino Gauna (elected in 1973 with over 70 percent of the vote but ousted by a federal trusteeship after only six months when he started expropriating land), Formosa has only had four elected governors in its entire history, all Peronist. With Insfrán (a pet target of the journalist Jorge Lanata) we are really in “autumn of the patriarch” country – Gabriel García Márquez would be right at home here. Lieutenant-governor during both Joga’s terms, Insfrán was supposed to take his turn for two terms before handing power back to his mentor but he took advantage of Néstor Kirchner’s arrival at the national presidency in 2003 to welsh on this deal by becoming ultra-Kirchnerite. Since then Insfrán has averaged 74.8 percent of the vote in his three re-elections, margins owing much to the fact that no province has a higher percentage of the population in the public sector – 69 percent with 54 percent provincial employees as entirely captive votes. Curiously enough, Insfrán enjoys absolute power despite a dependence on national funds for 93 percent of his budget (again a top figure for Argentina) with over three billion pesos in federal revenue-sharing transfers last year. More could be added but this should suffice to depict Formosa as the most extreme of authoritarian backwaters. No changes likely in voting for the executive branch here at either provincial or national level (Peronist Daniel Scioli mopped up 64-67 percent of the vote in the two 2015 rounds) but the legislative picture is somewhat more pluralistic. Of the 30 provincial deputies, 21 are Justicialist (Peronist) and eight are in the Radical-led Formosa Broad Front supporting President Mauricio Macri’s Cambiemos (Let’s Change) coalition nationally with one seat for Sergio Massa’s Renewal Front. The national representation consists of three senators (José Mayans and María González for the Victory Front and Radical Luis Naidenoff) and five deputies (Luis Basterra, Ramiro Fernández Patri and Inés Beatriz ‘Betty’Lotto for the Victory Front against the Radicals Mario Arce and Martín Hernández) – note that six of these eight legislators are male, leaving Formosa below the previous 30 percent floor for female representation (now raised to 50 percent this month) and thus underlining this province’s patriarchal leanings. Senators Mayans and Naidenoff (with 18 and 14 years in the Upper House) are both committee heavyweights with Naidenoff chairing the Cambiemos caucus and a frequent government spokesman but none of the five deputies have made much of a news splash apart from the pro-life Arce being accused of obliging a girl-friend to interrupt her pregnancy during his student days (Basterra and Naidenoff were the only Formosa legislators to back the abortion bill last year). A little earlier a Formosa deputy (Radical Ricardo Buryaile, who occupied a Lower House seat from 2009 to 2016) did cut more of a national figure when he became Agroindustry Minister in 2015 but Macri always preferred the Rural Society’s Luis Miguel Etchevehere to head the farming portfolio (now demoted from ministerial to secretarial level) and Buryaile vanished from political life 17 months ago. No Senate renewal until the next general elections in 2023 but three seats will be vacated this year – two Victory Front (Basterra and Lotto) and one Radical (Hernández). Insfrán’s cohorts would have to more than double the opposition vote to change that breakdown but the government would need rather better economic data than posted in the summer just ended to avoid such a backlash and turn the autumn of the patriarch into springtime for Macri. Enough of electoral politics, onto the gazetteer segment of this column, starting with Formosa’s pre-1983 history. First explored in 1528 when it received the name of Formosa (the Portuguese word for beautiful, later also bestowed on what is today Taiwan, was used because the leader of the Spanish expedition had previously long served the Portuguese crown), the Jesuits of neighbouring Paraguay set up a mission there in 1763 but there was minimal outside interest in the region due to its jungle terrain and fierce indigenous tribes (Wichis and others rather than the more peaceful and adaptable Guaranis) until the 1865-70 Triple Alliance War with Paraguay ended all territorial disputes in Argentina’s favour. The provincial capital was founded in 1879 by the famous explorer Major Luis Jorge Fontana. In 1884 Gran Chaco was divided into the national territories of Chaco and Formosa whose first governor until 1891 was Colonel (later General) Ignacio Hamilton Fotheringham – born in Southampton, his acquaintance with the exiled Rosas family in Hampshire brought him out to Argentina where he carved out a military career in the Paraguayan War and the “Campaign of the Desert.” Fotheringham was followed by 25 territorial governors or trustees (14 of them military officers and none locally born before 1946) until 1955 when Formosa became a province. Despite three democratic governments in the 1955-83 period, Gauna was the only elected governor with 20 trustees (eight of them Army officers). The 2010 census counted 527,895 people mostly clustered along the Paraguay River marking the province’s eastern border where both the provincial capital Formosa (222,226 inhabitants) and the other main city of Clorinda (52,837, all 2010 data) are to be found – four other towns (Pirané, El Colorado, Ingeniero Juárez and Las Lomitas, ex-president Carlos Menem’s home during the 1976-83 dictatorship) have five-digit populations among 27 town halls in the nine departments. Around 40 percent mostly indigenous people live in the flat swampy hinterland in often alarmingly primitive conditions with Spanish far from universal – per capita income is under half the national average in an economy where agriculture, forestry and cattle (a million head) far outweigh a minimal industry (tanning, bottling) with tourism underdeveloped. 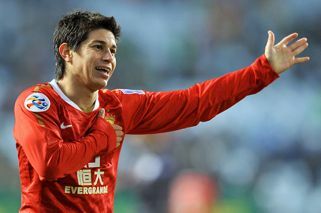 Named “beautiful” for the blossoms of some tropical trees, Formosa’s politics and society are ugly enough. 3Saskia Sassen: "Many of the spaces we believe to be public are privately owned"